As a wedding and event planner, designing events in the Monterey Peninsula area is such a pleasure. The beautiful 17-mile drive is one of our favorites, and we have had the opportunity to create amazing celebrations at private estates within this famous coastal landmark (which runs from Pacific Grove to Pebble Beach). This area is recognized as one of the most scenic drives in the world. The Monterey Peninsula area offers incredible locations for events at the ocean/beach, gardens, courtyards, vineyards, historic cathedrals, and luxurious resorts. We have planned special events at the following: Holman Ranch, Carmel Valley Ranch, Carmel Valley Stables, the Carmel Mission, Monterey Plaza Hotel and Spa, Tehama Golf Club, The Inn at Spanish Bay, and Pebble Beach Lodge and Resort. Our clients love the weather of this region—the summer months often have perfect temperatures for outside gatherings. Guests enjoy the popular activities, such as golfing, hiking, kayaking, biking…not to mention the delightful local food and wine to try. 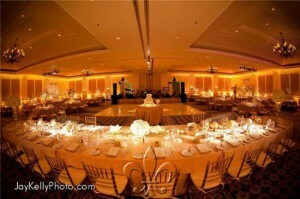 The difficult part with planning an event in this area is choosing from so many outstanding vendors! Caterers use fresh ingredients and create custom and very unique menus, and florists have so many options with the abundance of native plants. Just up the coast from this area, Très Fabu is proud to be listed as a preferred vendor for the Ritz-Carlton resort at Half Moon Bay. 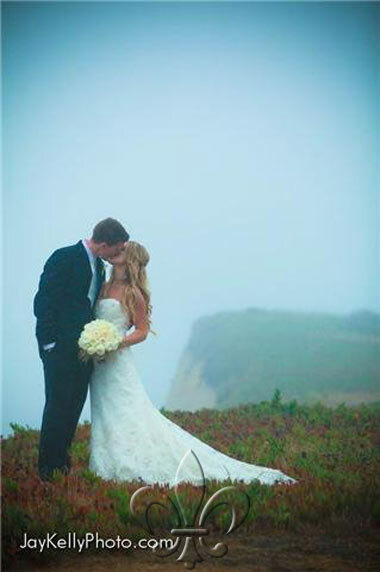 We have created life-long memories for our brides and grooms at this prestigious venue…with its dramatic Pacific Coast backdrop and plush grounds. We’re ready to plan your special event in this beautiful coastal region! Please Click Here to view our Monterey Peninsula Wedding Portfolio.